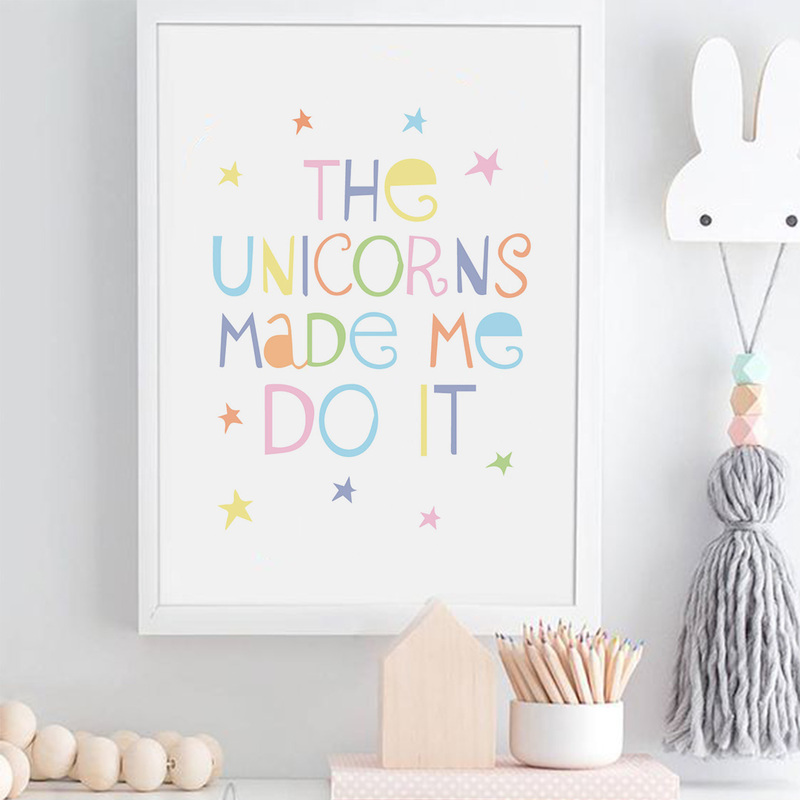 Your little lady will adore this charming Unicorns Art Print by Bunni. 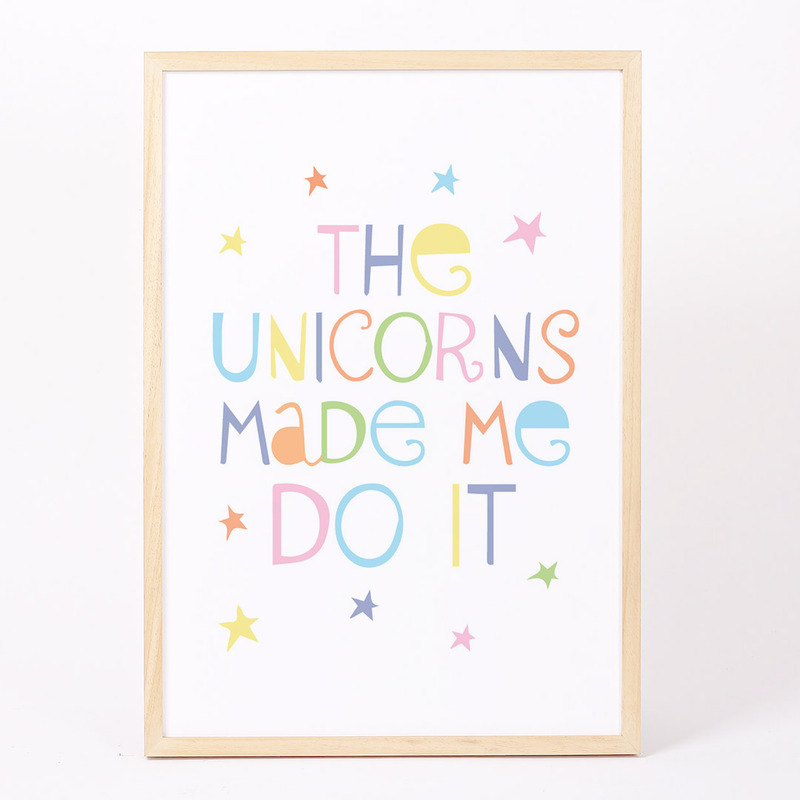 Our “The Unicorns made me do it” A4 print features curly text surrounded by wispy stars, all in beautiful bright complementary colours on a crisp white background. Your little lady’s bedroom wall will certainly have an extra dash of personality featuring this cute artwork.